The Grand Rapids Public Museum is a place of never-ending inspiration and discovery, with a focus on science, history and culture. 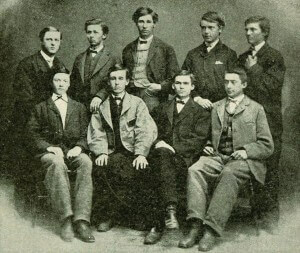 In 1868 the Lyceum merged with the Grand Rapids Scientific Club, a group of local high school students who contributed their youthful enthusiasm, and their growing collections of specimens, to the institution. This broader focus brought the Museum out of the parlors of the gentlemen, and into the schools. During the last decades of the 19th century, the Kent Scientific Institute was administered by the Board of Education, and the collections were displayed at Central High School. By the beginning of the 20th century, it was clear that the growing museum collections needed a home of their own. 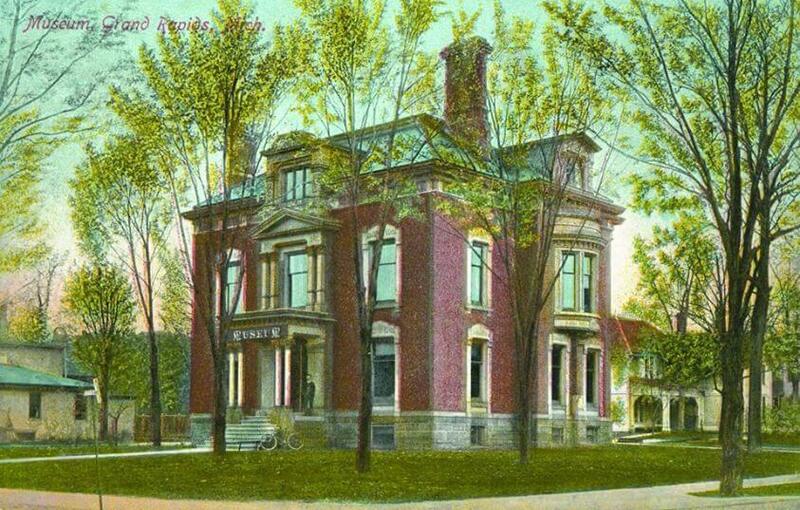 In 1903, the Board of Education purchased the Howlett house at the corner of Jefferson and Washington Streets, a location that would become the Museum’s home for almost a century. The Grand Rapids Public Museum began experimenting with planetarium equipment in the early 1960s, and hired its first curator for the new technology in 1964. The planetarium was eventually named after Grand Rapids astronaut Roger B. Chaffee, who was killed in the Apollo I disaster on January 27, 1967. The Grand Rapids Public Museum’s current facility opened in 1994 on the west bank of the Grand River in the heart of downtown. It contains three floors of exhibits, the Roger B. Chaffee Planetarium, the Cook Carousel Pavilion, Meijer Theater, cafe, and gift shop. COMMUNITY ARCHIVES AND RESEARCH CENTER, 223 Washington Street SE. 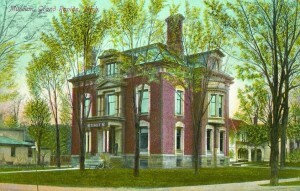 The Community Archives and Research Center is a collaborative support facility which houses the historical document and artifact collections of the Grand Rapids Public Museum as well as the Grand Rapids City Archives and Record Center, and many Kent County records. Access by appointment or reserved (paid) tour, please email. 54 JEFFERSON, 54 Jefferson Street. Completed in 1940 as the headquarters of the Grand Rapids Public Museum, this historic Art-Moderne, WPA-era building is now the future home of the Grand Rapids Public Museum High School. CALKINS LAW OFFICE, Corner of Washington and State Streets. The Calkins Law Office (1836) is the oldest frame building in the Grand River Valley. This small Greek Revival building is located at the corner of Washington and State Street in southeast Grand Rapids. It was moved to its current location in 1971 and restored in celebration of the nation’s Bicentennial in 1976. Access limited to outside only at this time. JAMES C. VEEN OBSERVATORY, 3308 Kissing Rock Avenue SE, Lowell. The Grand Rapids Amateur Astronomical Association’s James C. Veen Observatory is an astronomical education and research center housing several fully equipped telescopes and support facilities. 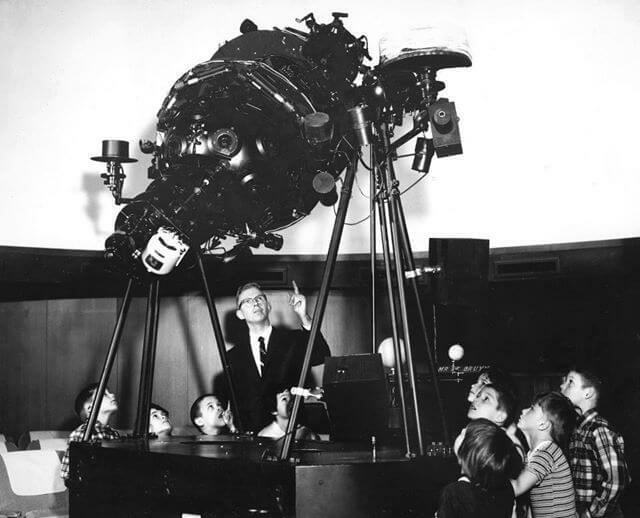 The Grand Rapids Public Museum collaborates with the GRAAA in presenting Veen Observatory Public Nights, and provides ongoing financial and administrative support. Public viewing nights scheduled through the Spring, Summer and Fall, visit graaa.org for details. VOIGT HOUSE, 115 College Ave SE. The (1895). Voigt House, carriage house and grounds are situated in Grand Rapids’ Heritage Hill Historic District, just east of downtown, and serve as a time capsule of the late Victorian period with intact original family furnishings. There is no public access at this time. THE MOUNDS: The Mounds are a 55 acre national historical landmark and one of only a few surviving Hopewellian burial mound groups that were once present in the lower Grand River Valley and the only one of which the mounds themselves are still in existence. Originally consisting of 17 burial mounds, it is located on a flood plain of the Grand River a short distance south of the city limits of Grand Rapids. The historical significance of this site was recognized in 1957 when it was listed on the Michigan Register of Historic Sites, and then again in 1965 when it was designated as a national historic landmark, and then listed on the National Register of Historic Places. The Museum is currently working with community input to develop future plans for respectful preservation of and educational access to the site. Until this important work is completed, all scientific studies throughout the entire Mounds and its related cultural resources collections will be restricted.